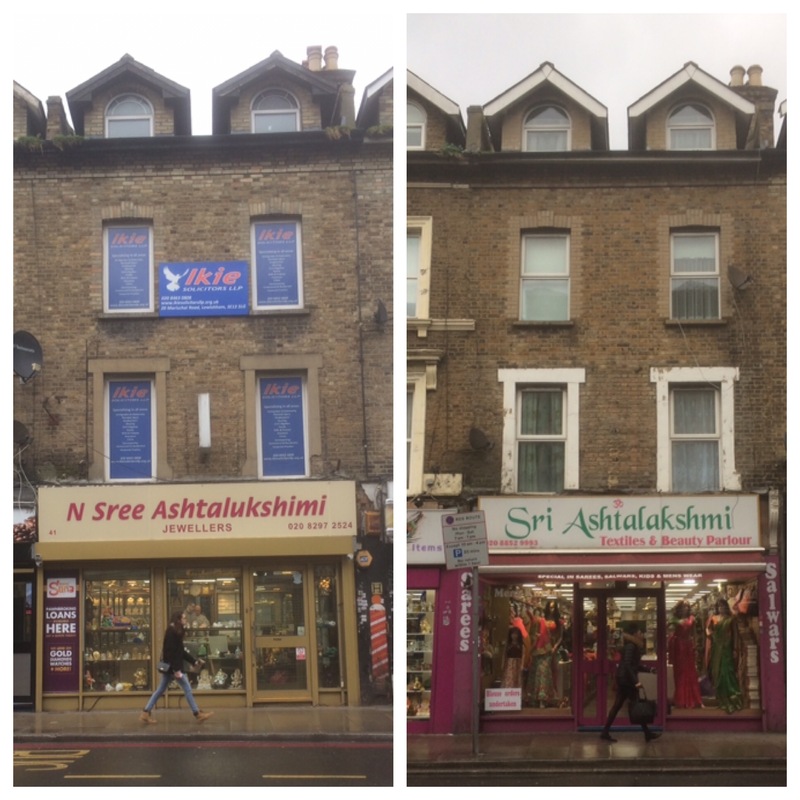 4a Clarendon Rise is currently home to London Sivan Kovil, a Hindu Temple – it is arguably Lewisham’s most beautiful building and the starting point for the almost certainly most stunning parade in the borough – the Chariot Festival, held each September for the last few years. The site has an interesting past and wasn’t always this attractive. Clarendon Rise used to be known as Clarendon Road and is one of the main roads that go through what used to be referred to as the College Park Estate, based on the land that once belonged to College Farm. 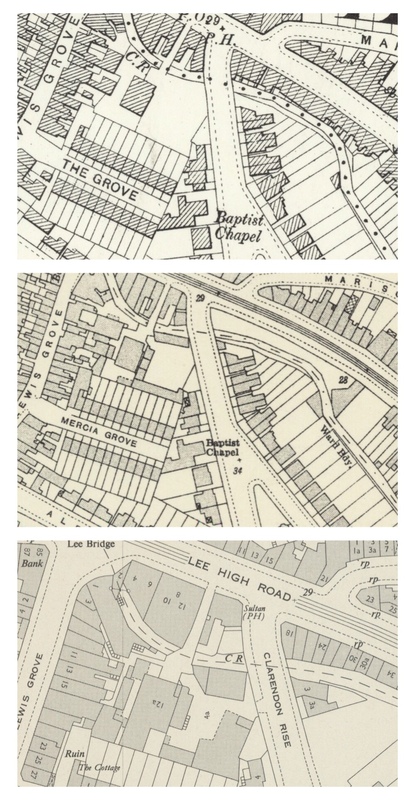 Clarendon Road/Rise bridged the Quaggy, which was one boundary of the farm, to Lee High Road, with The Sultan (now Nando’s) sitting on the far bank. What is now 4a stood opposite to the Sultan. The site was showing as empty when the Ordnance Survey cartographers visited in the mid 1890s as the top map shows. However, the reality is a little more confused than this and it seems likely that the site was in least partly occupied by a firm of boot makers, E Cooney and Sons from at least the 1891 census. Edward Cooney, was the ‘E Cooney’ a boot maker – the only son listed in 1891 and 1901 was William, listed as a shoe seller in 1901. The business and family was still there until around 1910, but there was no sign of them afterwards, in Lewisham, or anywhere else for that matter. The next occupant of the site seems to have been a furniture dealer, Arthur Vincent Humm. Arthur was a Lewisham man, born in 1883 he’d spent some time in the Hussars, in 1911 he was listed as a cabinet maker working in his father’s furniture business at 89 Lee High Road, the family home where he had grown up. Arthur was at what was then 2 from around 1919 to at least 1928, possibly longer – there are no Kelly’s Directories for this area between 1928 and 1941 available at Lewisham Archives. By 1941, the Road had become a Rise and the occupants of the site were a well known Lee name – Penfolds Motor Engineers. Presumably, this was before they moved to Lee Green. They were to stay at Clarendon Rise for another decade, at some stage in the not too distant future Running Past will cover Penfolds. The site buildings at that stage are shown in the bottom map (above). A trio of firms were there in the 1950s – Falcon Painting Works, the motor engineers, Premier Diesel Engineering Works, and Falconers Transport motor haulage contractors. Sadly, nothing more is sadly known about any of these firms, the same can be said about their successors Bylay Heliot Equipment Co, who were Machine Tool makers who occupied 4a until 1967. There was an unsuccessful plan to build a service station, restaurant and multi-storey garage prior to Bylay Heliot moving out. No one was listed in Kelly’s for a decade, then it was briefly home to the heating engineers Fry Pollard, who moved on at around the time that they were acquired by Norden Heating. In the late 1980s and early 1990s 4a was the home to Glass Structural Services and Structural Roof Services. 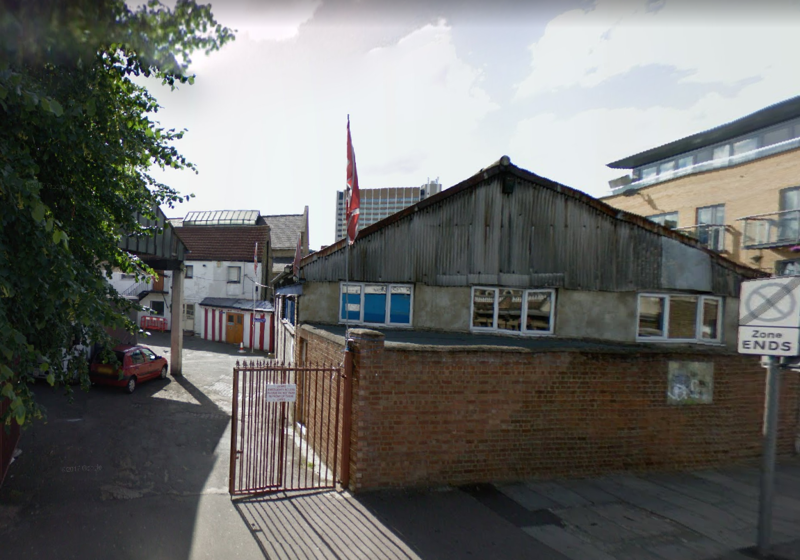 The site was bought in 1994 as a Hindu temple and remained in what were the existing warehouse structures which were still there in 2008 when StreetView (above) first passed by. By the next time the Streetview car passed demolition of the main building was in progress in 2009 when the foundation stone was laid. 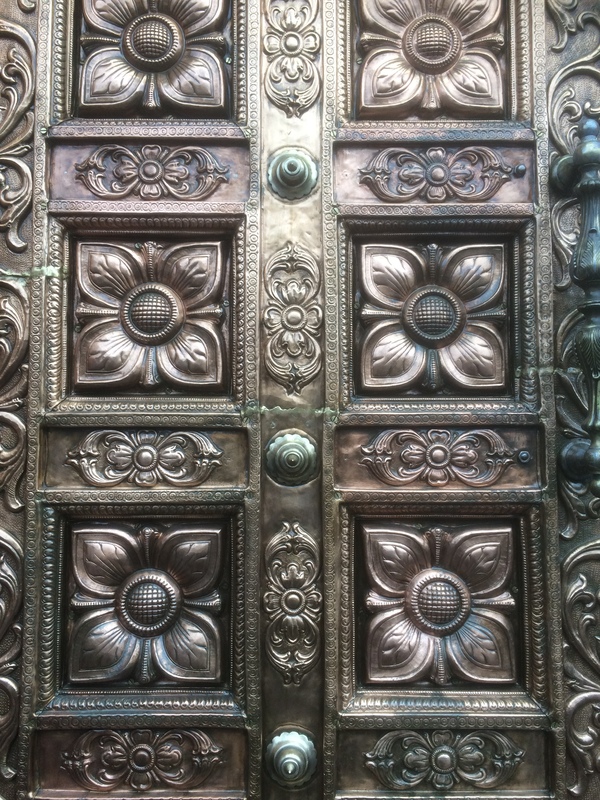 At the centre of the front is a gopuram – an ornate, tapering oblong tower (see top picture) with richly decorated doors at its base – this a smaller version of a traditional Hindu design. Of the previous building, only the wall facing the Quaggy was retained, although that was much altered. 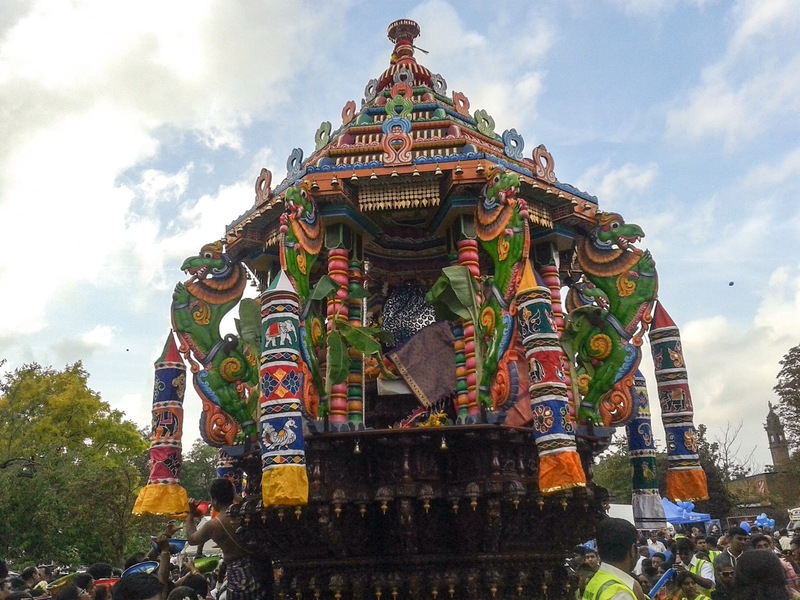 Clarendon Rise and the temple are well worth a visit in mid September each year when the annual chariot festival takes place – pictured below. The arrival of the temple has seen a significant change in shopping on a Lee High Road with an influx of shops serving the worshipers at the Hindu Temple – including those selling saris and jewelry. 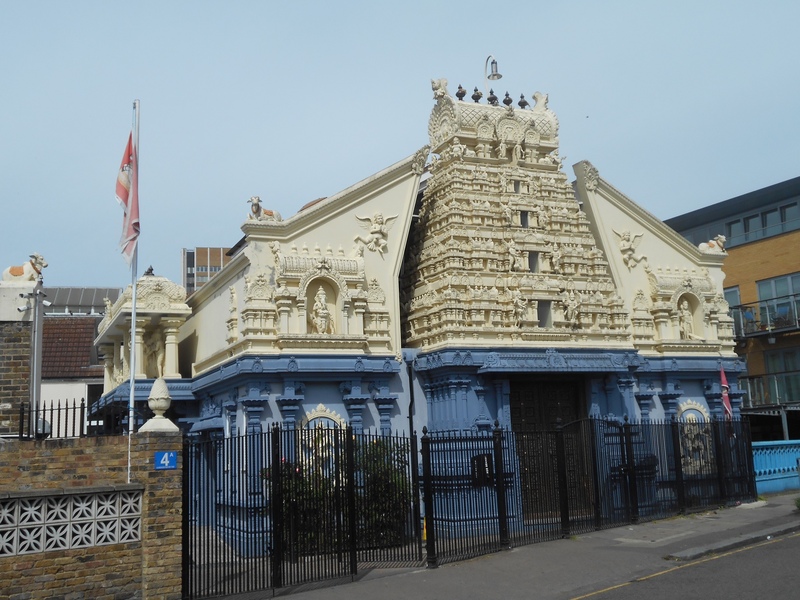 This entry was posted in Lewisham History and tagged Clarendon Rise, College Park Estate, Hindu Temple, London Sivan Kovil, Penfolds (Vauxhall) on March 15, 2019 by Paul B.